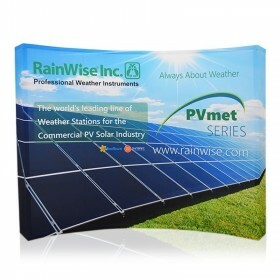 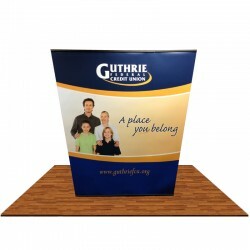 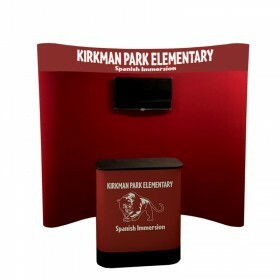 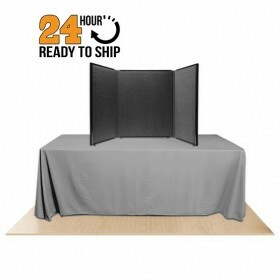 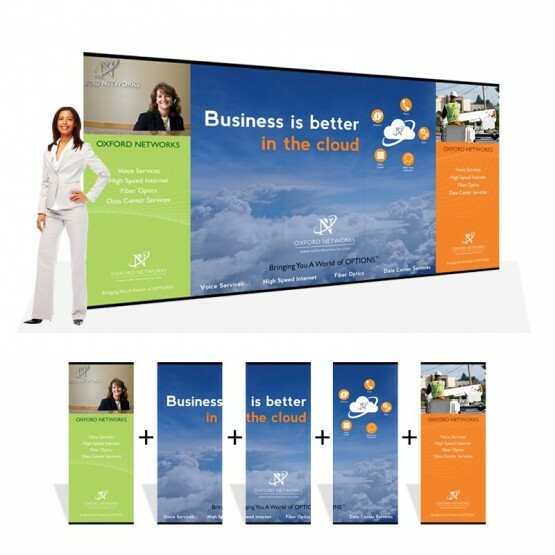 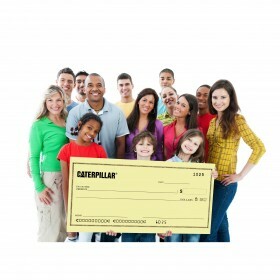 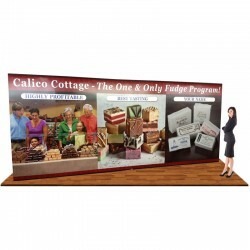 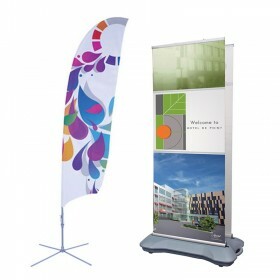 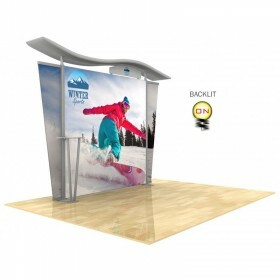 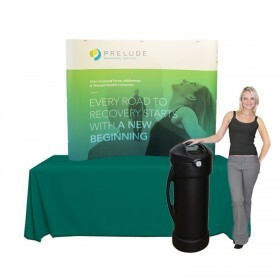 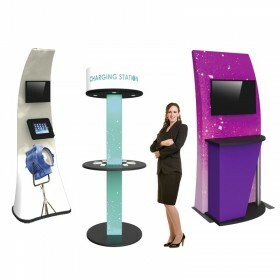 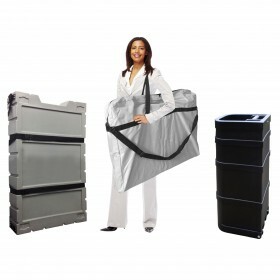 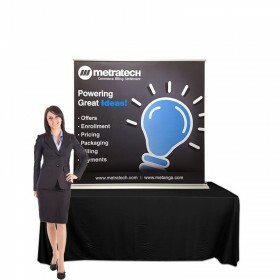 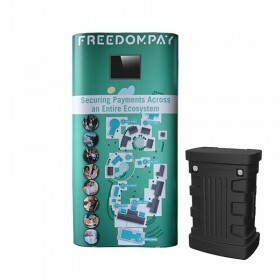 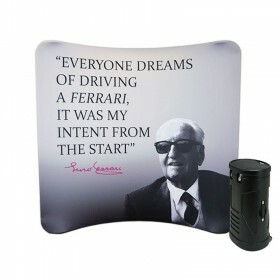 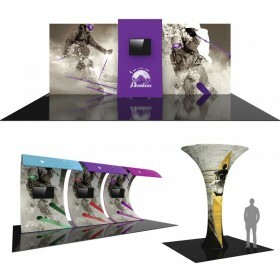 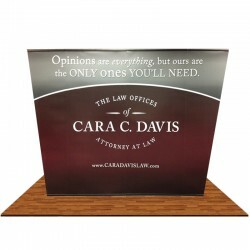 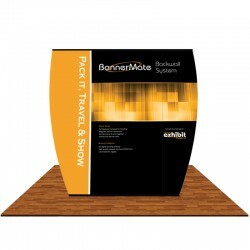 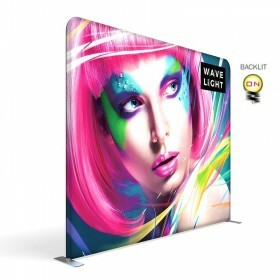 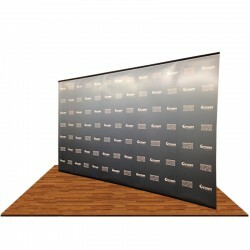 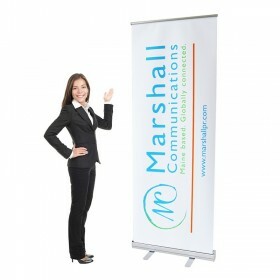 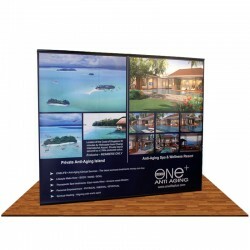 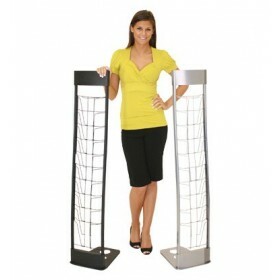 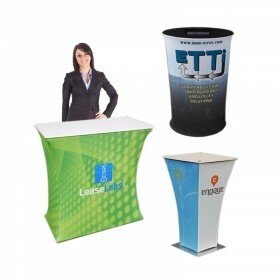 Enhance your trade show experience our Banner-Mate II™ provides the ideal space for life size photos and graphics. 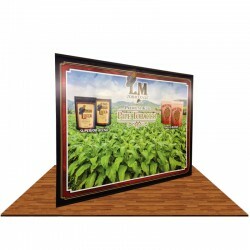 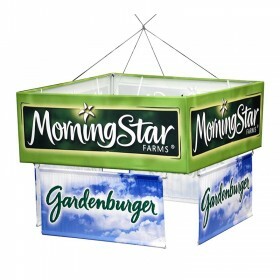 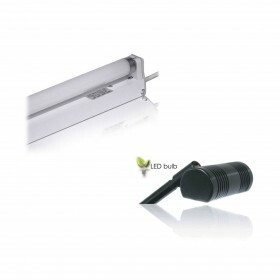 Unlike ordinary display systems, the standard 35" Banner-Mate II™ units can be linked together using the unique state-of-the-art edge to edge magnetic that will tightly link up to 9 units together. 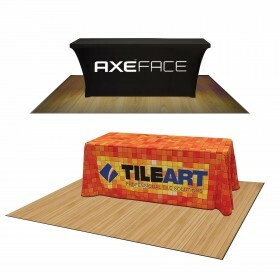 Utilize part of your design for a specific message and the remainder of your design to focus on specific products or services. 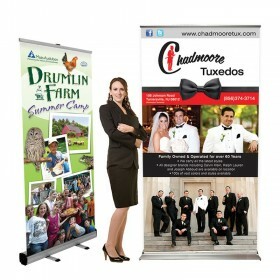 Now offering in-house graphic design - ask us how we can help bring your graphics to the next level! 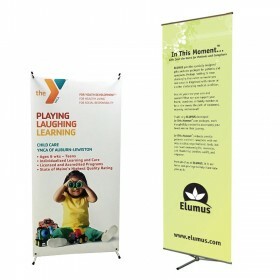 Pole Banner System includes (2) 35" wide Custom printed banners, Reusable Grip Rail System, (2) Chrome weighted bases & (2) Rigid travel bag. 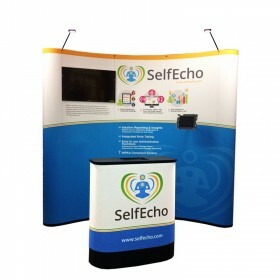 Total Set-up dimensions: 86" high x 70" wide. 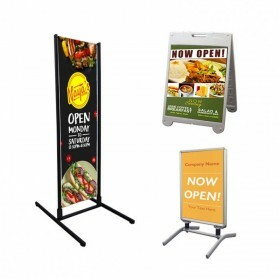 Pole Banner System includes (3) 35" wide Custom printed banners, Reusable Grip Rail System, (3) Chrome weighted bases & (3) Rigid travel bag. 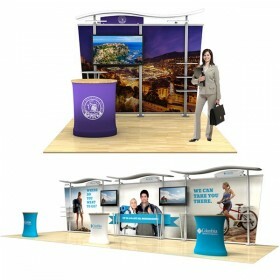 Total Set-up dimensions: 86" high x 105" wide. 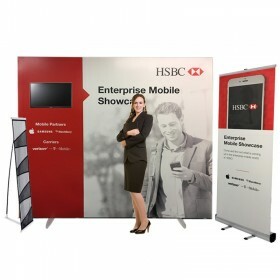 Pole Banner System includes (4) 35" wide Custom printed banners, Reusable Grip Rail System, (4) Chrome weighted bases & (4) Rigid travel bag. 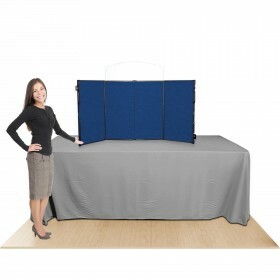 Total Set-up dimensions: 86" high x 140" wide. 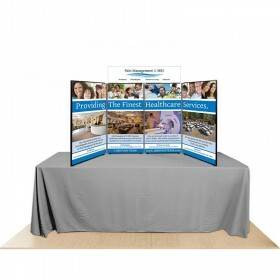 Pole Banner System includes (5) 35" wide Custom printed banners, Reusable Grip Rail System, (5) Chrome weighted bases & (5) Rigid travel bag. 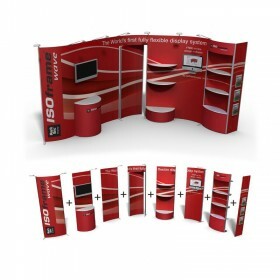 Total Set-up dimensions: 86" high x 175" wide. 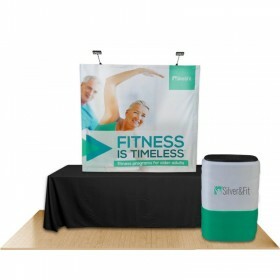 Pole Banner System includes (6) 35" wide Custom printed banners, Reusable Grip Rail System, (6) Chrome weighted bases & (6) Rigid travel bag. 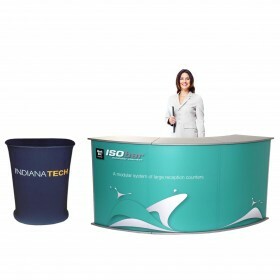 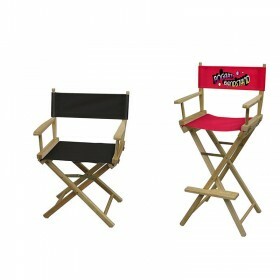 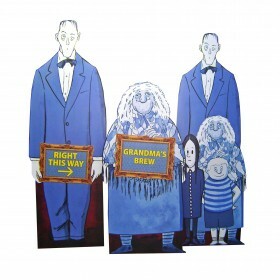 Total Set-up dimensions: 86" high x 210" wide. 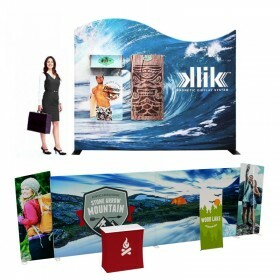 Pole Banner System includes (2) Bow Wing banner graphic, (1) 35" wide Center panel banner graphic, Reusable Grip Rail System & (3) Travel bags. 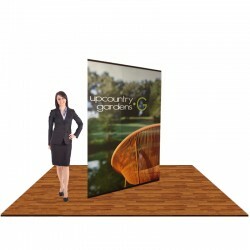 Total Set-up dimensions: 86" high x 83" wide. 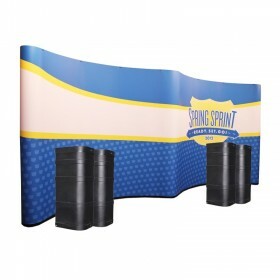 Pole Banner System includes (2) Bow Wing banner graphic, (2) 35" wide Center panel banner graphic, Reusable Grip Rail System & (4) Travel bags. 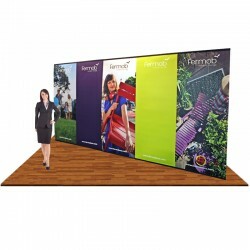 Total Set-up dimensions: 86" high x 118" wide. 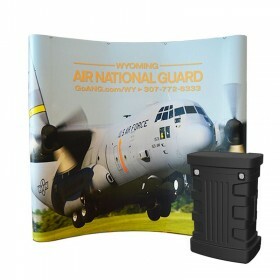 Pole Banner System includes (2) Angle Wing banner graphic, (1) 35" wide Center panel banner graphic, Reusable Grip Rail System & (3) Travel bags. 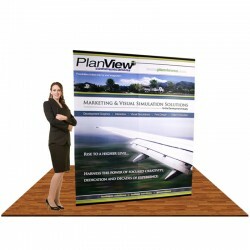 Total Set-up dimensions: 86" high x 83" wide. 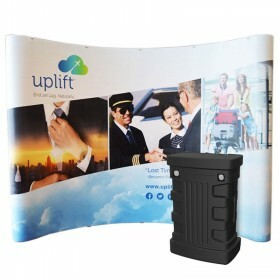 Pole Banner System includes (2) Angle Wing banner graphic, (2) 35" wide Center panel banner graphic, Reusable Grip Rail System & (4) Travel bags. 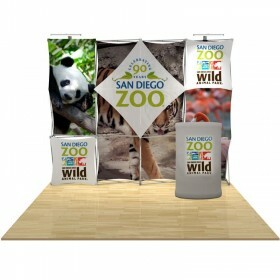 Total Set-up dimensions: 86" high x 118" wide. 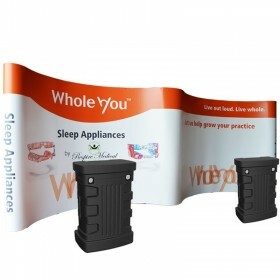 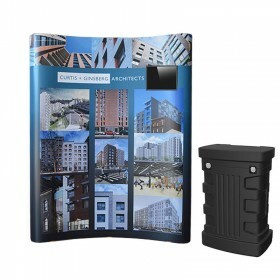 Pole Banner System includes (1) 35" wide Custom printed banner, (1) 24" wide Custom printed banner, Reusable Grip Rail System, (2) Chrome weighted bases & (2) Rigid travel bag. 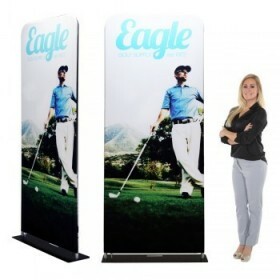 Total Set-up dimensions: 86" high x 53" wide. 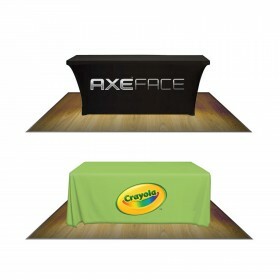 Pole Banner System includes (1) 35" wide Custom printed banner, (2) 24" wide Custom printed banner, Reusable Grip Rail System, (3) Chrome weighted bases & (3) Rigid travel bag. 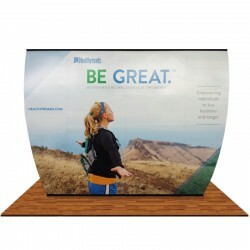 Total Set-up dimensions: 86" high x 83" wide. 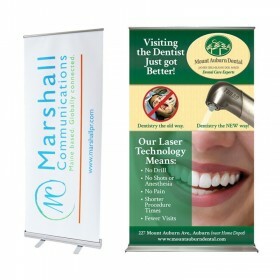 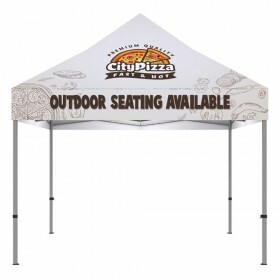 Pole Banner System includes (2) 35" wide Custom printed banner, (2) 24" wide Custom printed banner, Reusable Grip Rail System, (4) Chrome weighted bases & (4) Rigid travel bag. 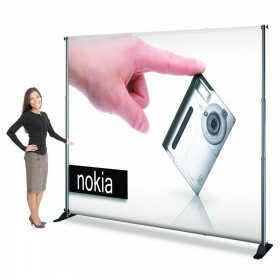 Total Set-up dimensions: 86" high x 118" wide. 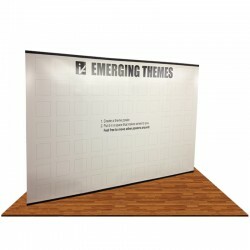 Pole Banner System includes (3) 35" wide Custom printed banner, (2) 24" wide Custom printed banner, Reusable Grip Rail System, (5) Chrome weighted bases & (5) Rigid travel bag. 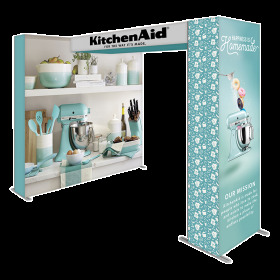 Total Set-up dimensions: 86" high x 163" wide.